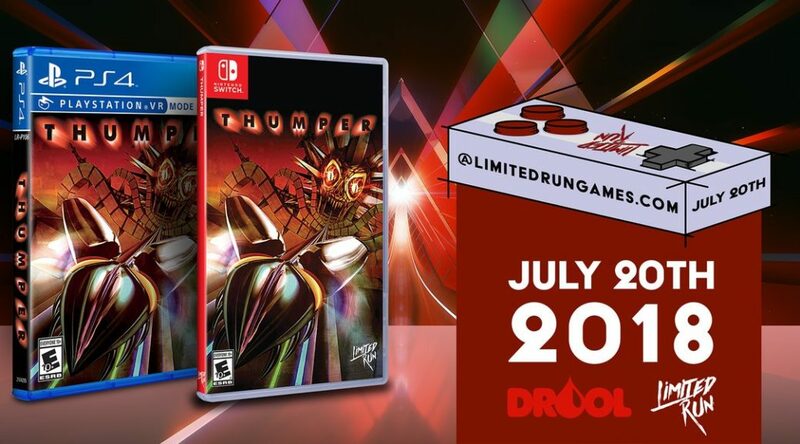 Limited Run Games has started taking orders for Thumper’s Nintendo Switch physical version. The physical version costs USD34.99 and is exclusive to the Limited Run Games website. Pre-orders close on August 3 and orders are expected to ship in September. Pre-order here. The Thumper Collector’s Edition for Nintendo Switch, limited to 2000 copies worldwide, has already sold out. However, you can still grab in a July 2018 bundle.